Adrian Sanchez went 2-for-4 with two RBI and a triple in the Nationals' win over the Cubs in game two of their doubleheader. 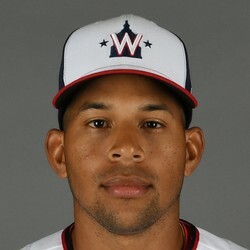 Sanchez played both games for the Nationals, going 1-for-3 with a walk and two runs in the first game of the doubleheader. Sanchez currently has no fantasy value.